Many users view active Distributed Antenna Systems (DAS) as the most reliable and robust cellular connectivity solution because this particular technology generates and distributes its own cellular signal. While DAS is a good solution for some businesses, the cost and complexity that comes along with this infrastructure-intensive option rarely presents a viable remedy for average commercial businesses. In reality, passive DAS can be a better alternative for many users. 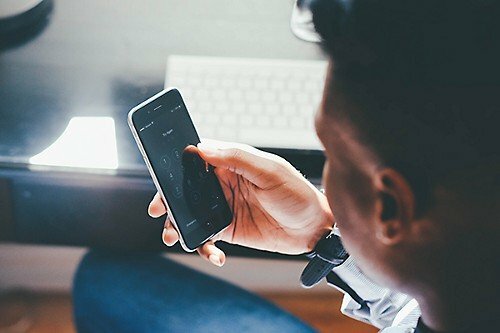 Passive DAS requires less equipment, setup and maintenance, which reduces overhead and cost while still providing the connectivity cell phone users expect today. Still, passive DAS is viewed as an uncertain choice with unwarranted concerns of poor efficacy, oscillation and overload issues, and fears around installation difficulty. Not only are these rumors not valid, but passive DAS comes with several benefits not often brought to light when considering connectivity options. Also known as a cell phone signal booster system, passive DAS uses an antenna to capture cell phone signals from nearby towers. Those signals are then electronically boosted and redistributed throughout the building by a network of smaller antennas. Active DAS, on the other hand, creates its own single-carrier signal. Passive DAS provides stronger voice and data service, with signal power increasing by as much as 32 times over the existing incoming signal, which is more efficient for the average user located in a home or office of less than 250,000 square feet. It is a common misconception that oscillation and overload can easily shut down a booster system and cause major connectivity problems. However, these issues require just minor system adjustments and can often be avoided completely with proper installation. In contrast, infrastructure-heavy active DAS requires significant ongoing support. Oscillation occurs when the donor antenna (outside) and the broadcast antenna (inside) are too close to one another. The proximity between antennas causes a feedback loop and can damage the system. Per FCC regulations, all cell phone signal boosters are built to auto-detect oscillation and power down or shut off when the condition occurs, but can be remedied or prevented by increasing the distance between the donor and broadcast antennas. Another common concern is overload, which occurs when the outside signal is too strong for the booster, resulting in system overload. If overload occurs, users can aim the donor antenna away from the offending tower, move the antenna to a different location, or install a filter. Compared to an active DAS, which requires significant financial investment and can take between 12 and 18 months to install, installation of a passive DAS requires very little time to configure. In some cases, passive systems can be up and running within days of first contact with a dealer. While a passive DAS is easy to install when compared to an active system, it’s not something that should be handled by an in-house IT team. Instead, a trained professional installer can maximize system efficiency and ensure the best possible coverage. Professional installers understand the nuances of signal strength and will fine tune system antennas and other equipment to both maximize performance and limit issues associated with oscillation and overload. Additionally, after installation, there are no ongoing support requirements for a passive DAS. If problems do occur, most dealers and trained installers work with a support team who will quickly resolve any issues. If your business’s cell phone signal needs a boost, contact a WilsonPro certified dealer to learn more about how our solutions can overcome your most complex cellular challenges. 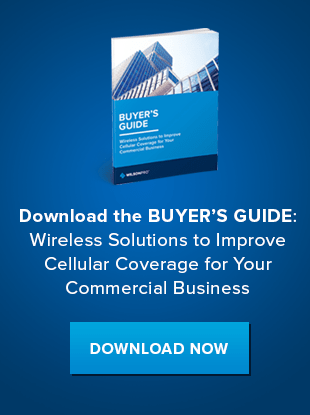 Or, download our guide to learn more about our comprehensive connectivity solutions.